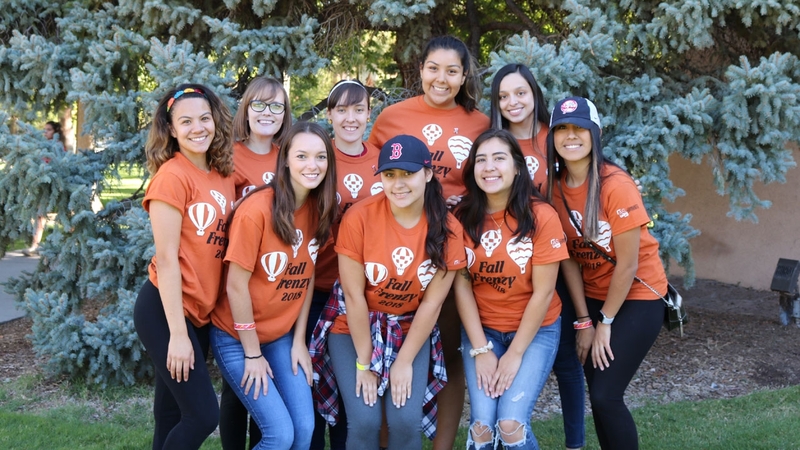 Associated Students of The University of New Mexico’s Community Experience recently hosted Fall Frenzy across UNM’s main campus. 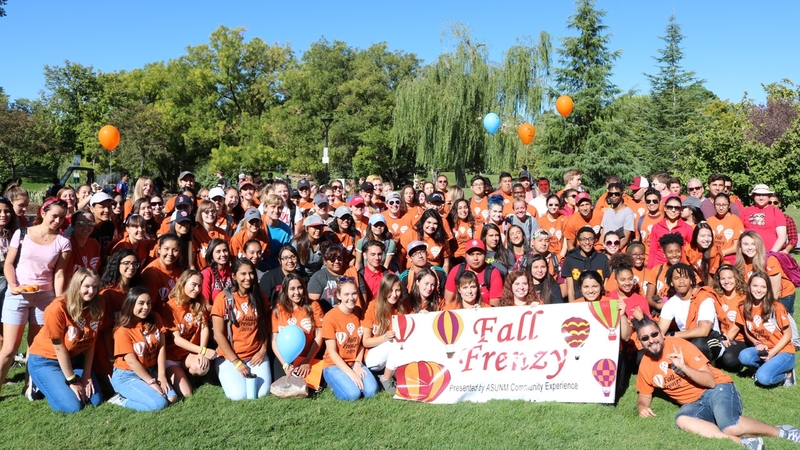 Fall Frenzy is Community Experience’s biggest event of the fall semester with more than 200 students joined together to help clean up nine different sites across campus before Homecoming week. Volunteers started off their morning with check-in and breakfast. Following check-in, volunteers were sent off to the various work sites across campus including Woodward Hall and Residence Halls. 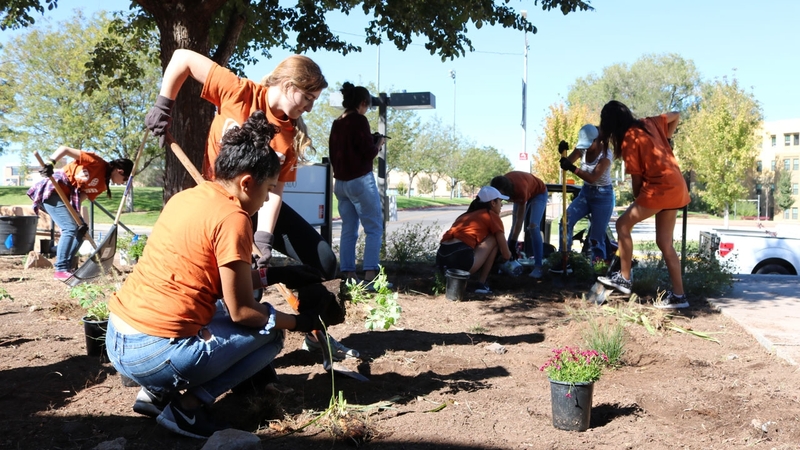 Volunteers planted flowers, created bark paths, recycled and more. After working for three hours, volunteers met back near the Duck Pond for a celebration luncheon picnic with prizes, games and food. Community Experience is the community service ASUNM agency on campus. 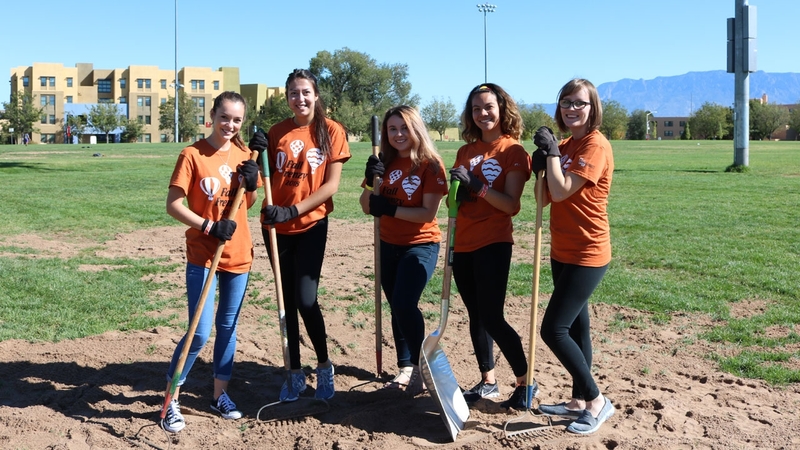 ASUNM CE puts on Albuquerque-wide and campus-wide service events throughout the school year including Fall Frenzy, Spring Storm, blood drives, food drives, the Giving Tree and more. For more information on future volunteering opportunities visit Community Experience.